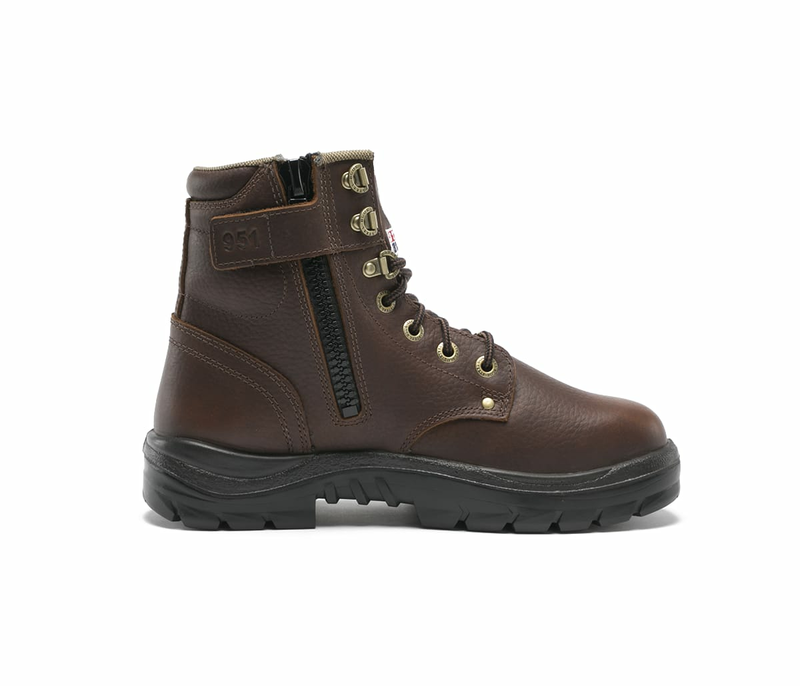 The Argyle Zip EH is a 6-inch Men’s derby style, lace-up Ankle Boot with an industrial grade Side Zip. 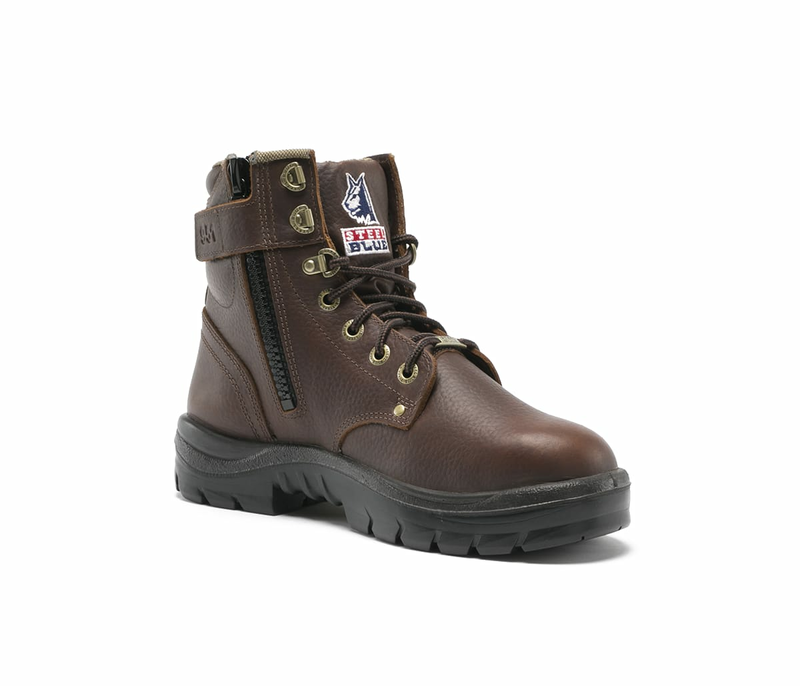 Lace your boots up for a secure, comfortable fit, then leave the laces tied and use the side zips for quick, easy access. 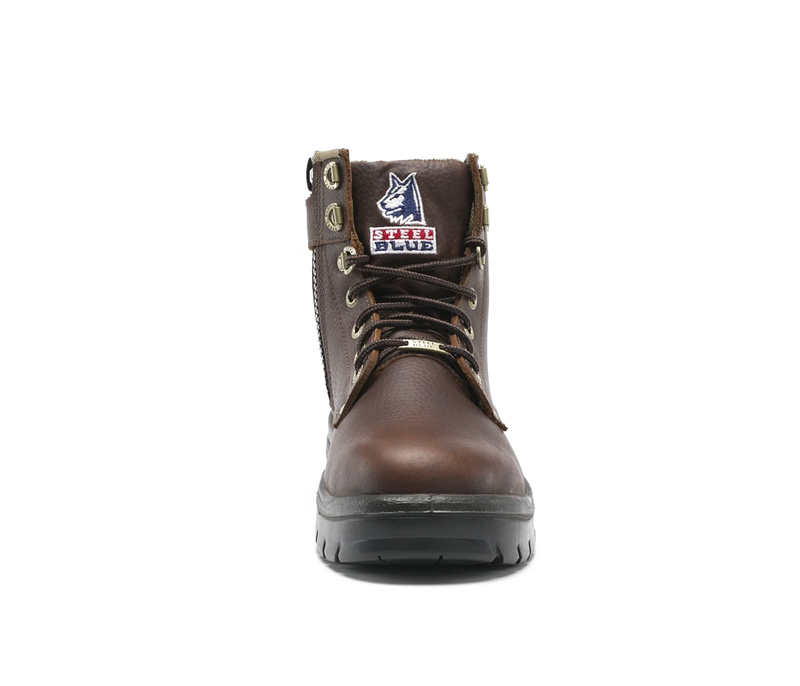 Crafted from Oak colored premium full-grain Cowhide Leather, the Argyle Zip is a popular choice for Tilers, Dock Workers and Plumbers. 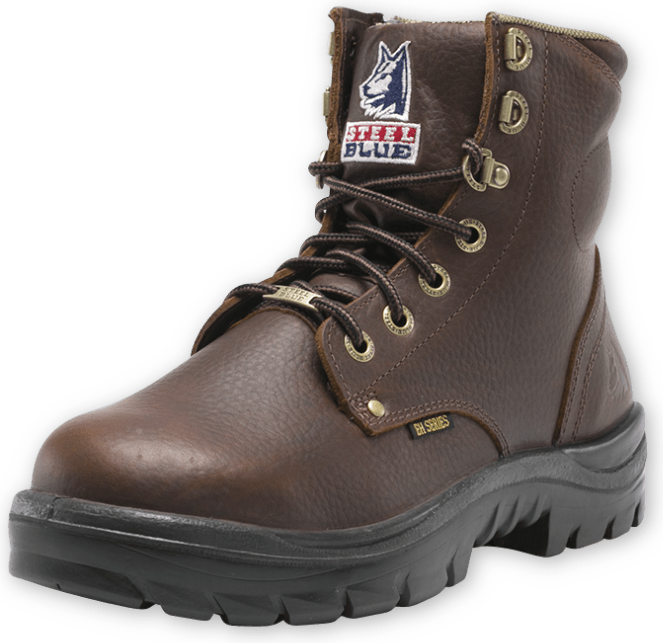 This Water Resistant work boot includes a 200 joule safety Steel Toe Cap (ErgoDefender™), TPU Outsole that is heat resistant to 266°F and Electrical Hazard properties. 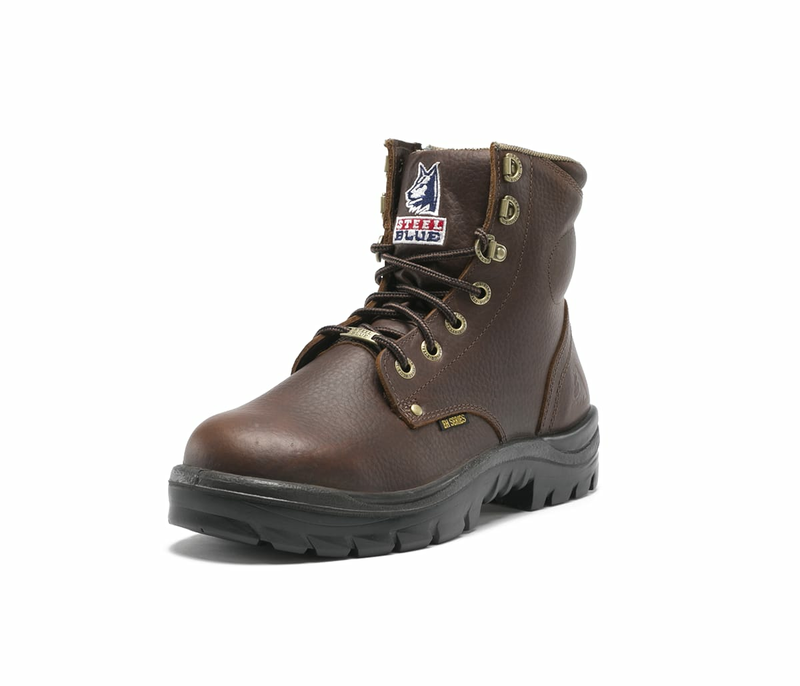 These non-conductive properties offer secondary protection for accidental contact with live electrical currents. Available in Medium (M) and Wide (W) fit options. 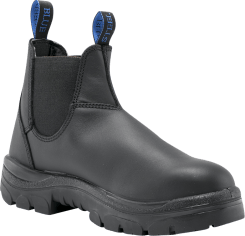 Steel Blue Argyle Zip EH Boots are independently certified to major international safety standards and the American Standard ASTM F2413-11. 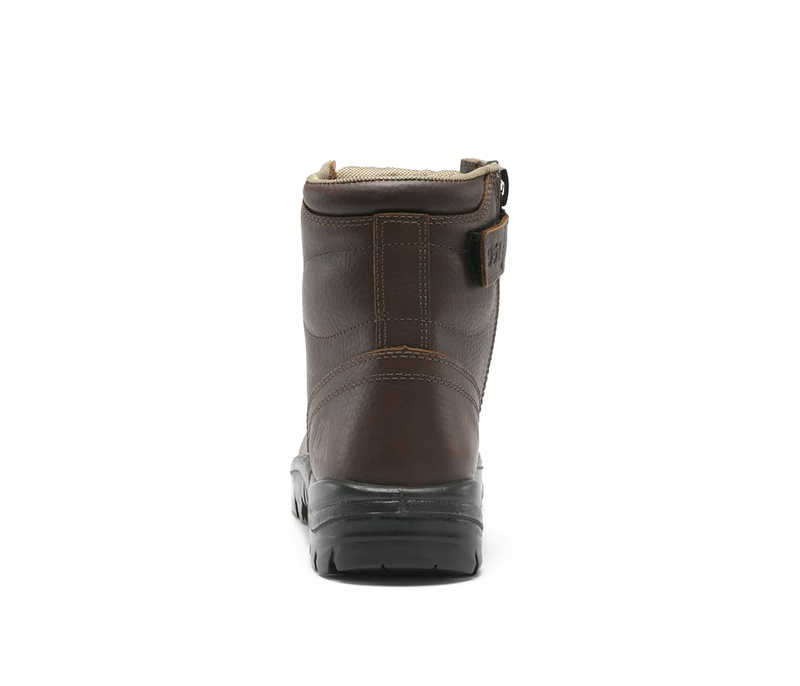 Full Grain is a Pull Up Oiled Leather that is generally considered as the highest quality Leather. 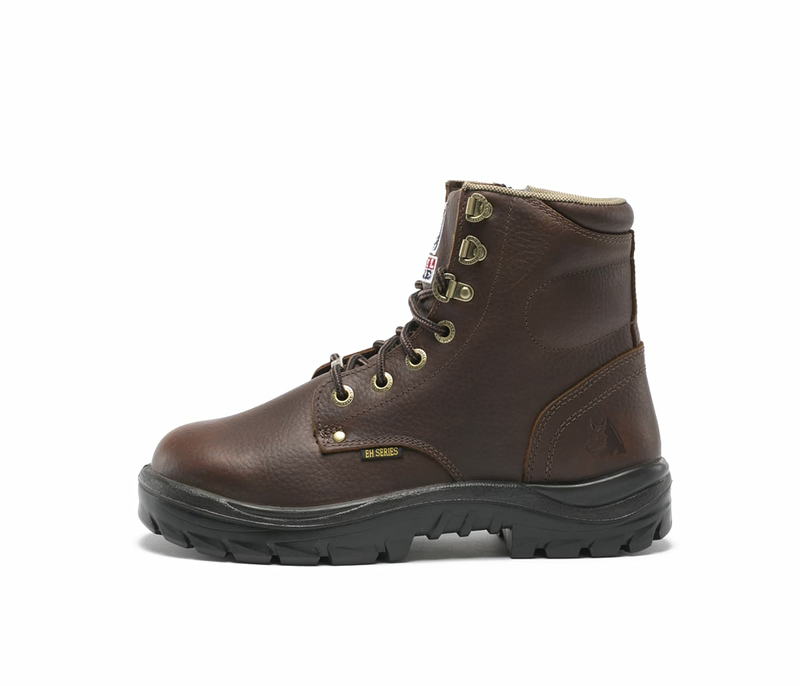 Our premium Cowhide Leather is sourced from a leading, environmentally responsible New Zealand tannery. 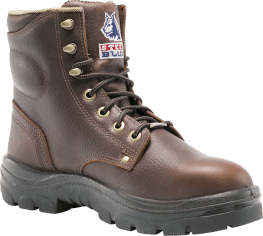 A durable Outsole, providing a high tolerance against cuts, abrasion, splitting and cracking, as well as a high resistance to most oils and chemicals. 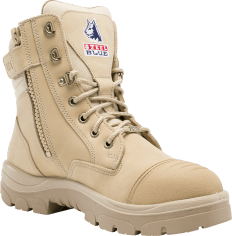 Designed to meet American Safety Footwear Certification ASTM F2413, this technology offers premium protection for your toes. 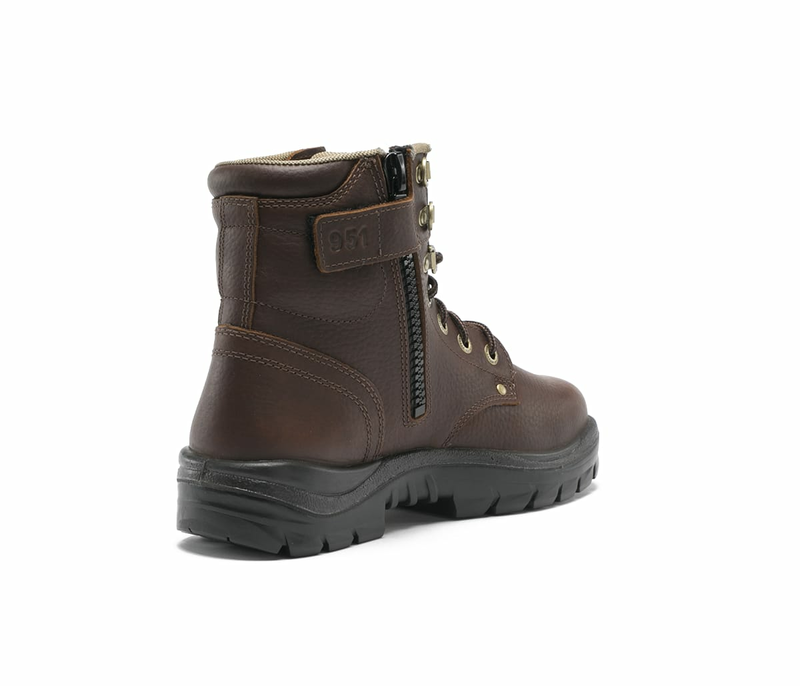 The Industrial Grade Zip on our Zip Sided boots allows you to lace up for comfort, then use the zip for quick access. 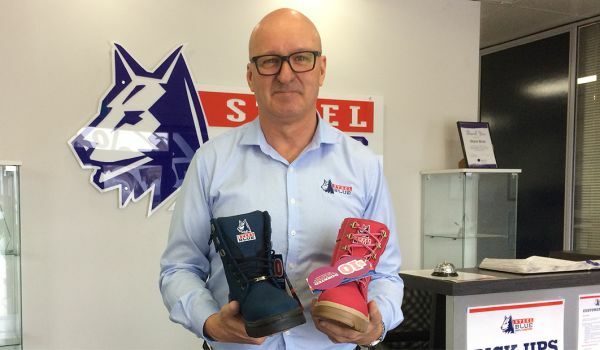 All Steel Blue boots are made from Premium New Zealand Cowhide Leather. 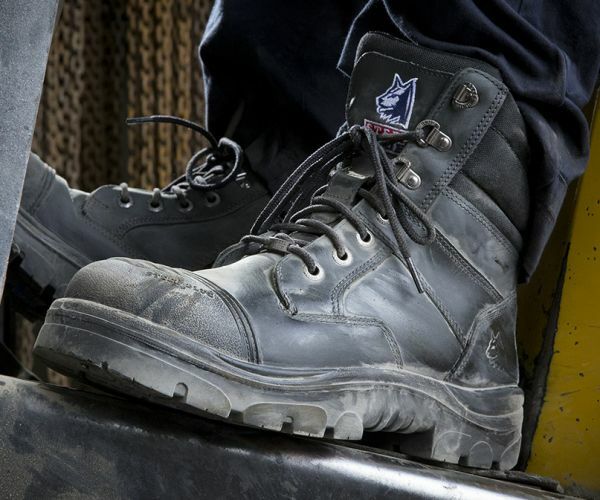 The durable, yet supple Leather assists with less break-in time, making our work boots comfortable from day one. 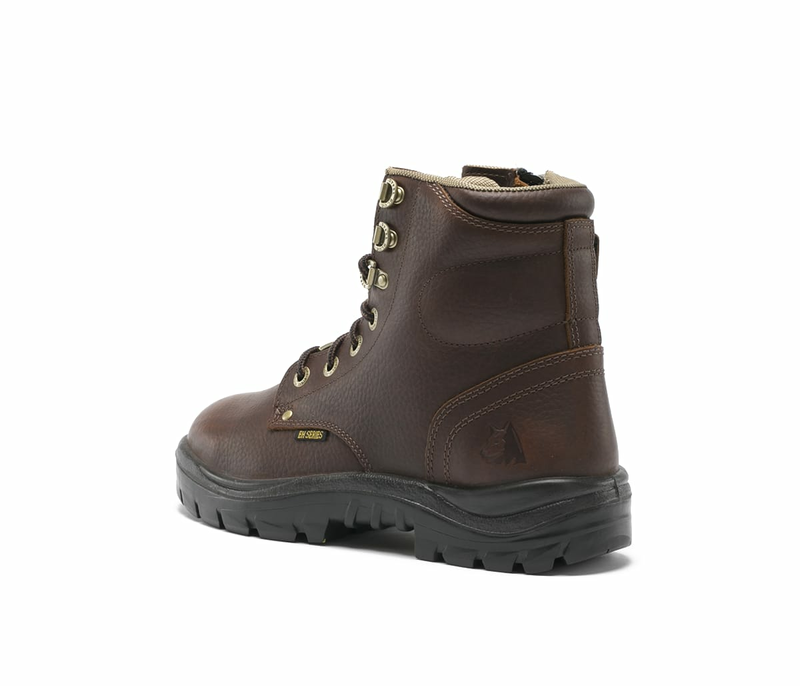 Our standard durable outsole with heat resistance to 266°F. 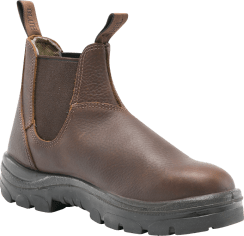 TPU Outsoles offer 0.40 Slip Resistance in accordance with the F2913-11 Coefficient of Friction Forward Flat Slip Oily & Wet Test. 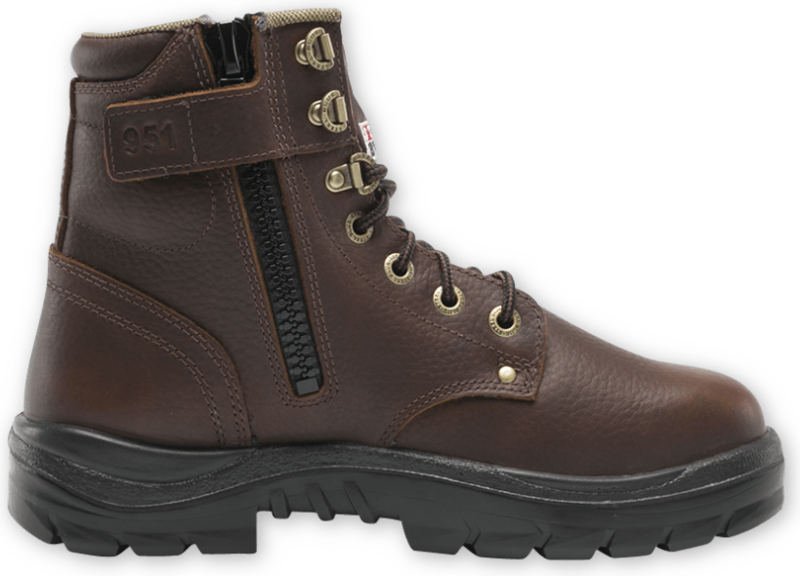 Non-conductive, offering secondary protection for accidental contact with live electrical currents. 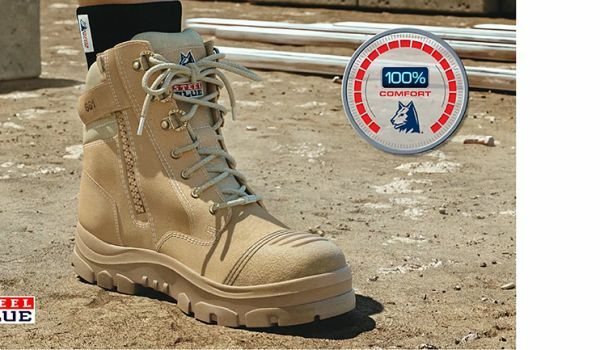 Steel Blue stands behind the comfort and quality of our work boots with our 60-Day 100% Comfort Guarantee.